If you’re looking for technical apparel for all sorts of recreation, we recommend you take a look at Outdoor Voices. Their clothing items are made for the active lifestyle and are suitable for a variety of situations, whether you’re going to the gym, walking your dog or simply looking for something cozy to wear around the house. Today, we’re talking about their new arrivals on Huckberry. The first new must have item from Outdoor Voices is the New Weekender Sweats. They use a lightweight jersey fabric that’s stretchy and extremely soft. There’s the drawstring waist so you can adjust your fit. Speaking of the fit, it features a slim fit for a flattering silhouette. Stop looking for sports apparel and check out Outdoor Voices. Their New Weekender Sweats are super soft and feature a slim fit. Also, there are two front pockets suitable for carrying smaller items as well as the hidden phone compartment. You can combine these sweats with the Weekender Hoodie. The hoodie is made from the same material and is super soft as well. Pair these sweats with the Weekender Hoodie, made using the same material. 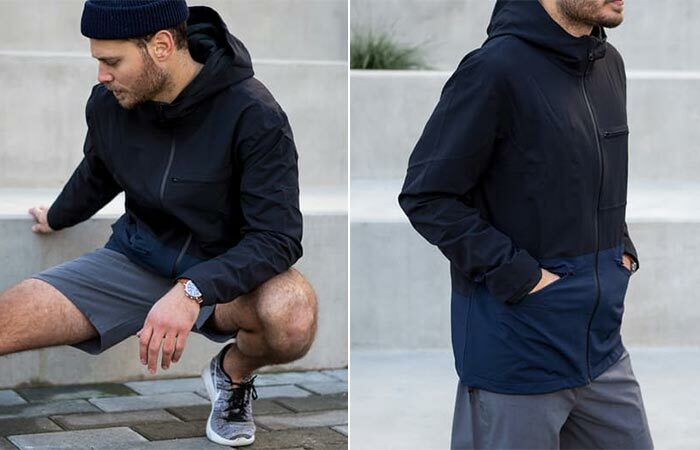 If you’re going for a run, you can also combine them with Outdoor Voices Running Jacket. 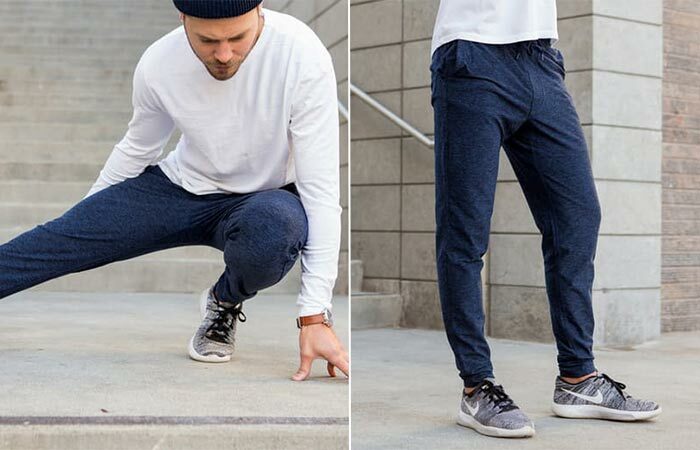 It’s made using their recognizable Stretch Crepe material that provides a four-way stretch. Also, the jacket is wind and water-resistant, comes with fully bonded seams and a back mesh vent for breathability. 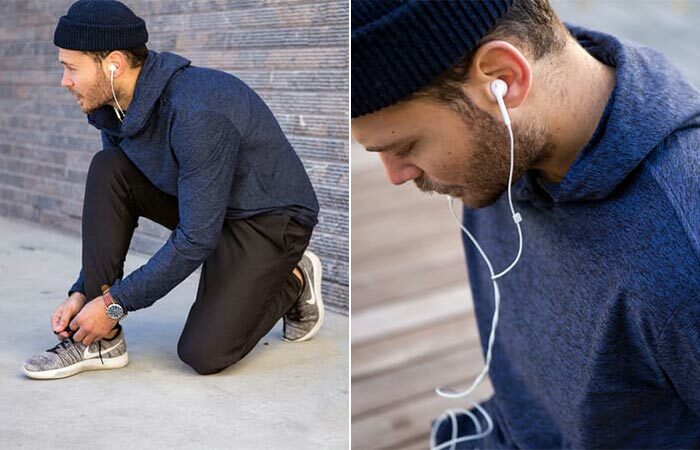 The Running Jacket is wind and water-resistant, provides a four-way stretch and is very breathable. Speaking of running, here’s another arrival- New Runningman Sweats. Thanks to the textured compression fabric, they have sweat-wicking properties. Just like the jacket, they feature a four-way stretch, providing a better range of motion. Available in marine and black. Another new Outdoor Voices are the Runningman Sweats. They are soft, stretchy and have sweat-wicking properties.